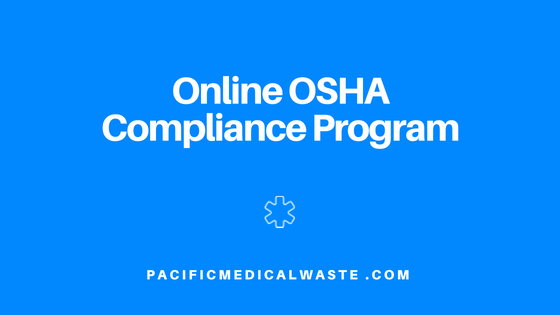 Here at Pacific Medical Waste in California, we’re excited to announce that we’re now offering our Online OSHA Compliance Program at a fraction of the cost! Many OSHA standards explicitly require the employer to train employees in the safety and health aspects of their jobs. This publication provides an overview of particular training requirements for OSHA standards-related topics. Instantly become OSHA compliant with Pacific Medical Waste! Pacific medical waste compliance specialists support our clients by providing responsive, professional and compliant medical waste services including an all-inclusive compliance training program. Pacific Medical Waste is a locally owned and operated company serving most of California. Call us today at 800-563-3854 or get a free custom medical waste quote today!